Consultant Feng Shui Software for your home or office. Would you like to perform Your Own Professional Feng Shui Consultation and print out over 70 pages of personalised reports and charts? This Consultant Feng Shui Software is not designed for Apple machines although we have many clients using this software on the Apple machine with a windows emulator although we cannot offer support on this. Many of you will know how passionate we are about our Consultant Feng Shui Software; with over six years in development, 53 combined years of Feng Shui experience and over a year of beta testing with very well known Feng Shui Master’s, Practitioners and students from all over the world. We have built the most powerful Consultant Feng Shui Software available anywhere in the world. 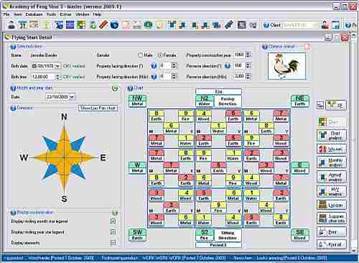 Over the last six years, this software has been used by thousands of Feng Shui Master’s, Practitioners, students and thousands of enthusiasts from over 118 different countries throughout the world and has become the industry standard in the Feng Shui world. This Consultant Feng Shui Software is the closest you can get to having a professional Feng Shui Practitioner come to your home or office. The Master and Consultant Feng Shui Software versions will be one of the best investments you will ever make for anyone who has a Feng Shui business or is a student of Feng Shui or anyone who wants to further their knowledge of this complex art. This software actually grows in size every time you add your own resource data with your own learning and clients. You can now enter your personal details like DOB, compass reading etc with all versions, it will then generate and print over 70 pages of reports and charts personalised to you or anyone else for any building, facing any direction, born in any year and living in any country throughout the world. The best just got even better! We have updated every area of the software with over 60 new and exciting features with many more improved features as seen in previous versions. This is by far the best Consultant Feng Shui Software we have ever developed. 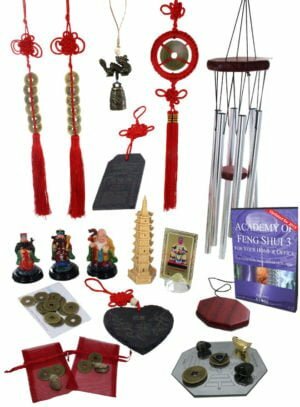 Instantly find your wealth, health, career, peach blossom, lucky directions, auspicious numbers, compatible partner, auspicious colours, relationship areas, good and bad days that can be instantly viewed on the Feng Shui diary and so much more. This is not black hat Feng Shui or any other gimmicky method; this is REAL Feng Shui that gets RESULTS. A small sample of screen shots of the Consultant Feng Shui Software Click the images for further information and screen shots. The Daily Planner page as seen above can help you plan so much in your life from selecting a certain day to making a big decision or day to avoid; auspicious times, elements, colours, directions, 15 degree sectors or numbers. This section of the Consultant Feng Shui Software is extremely valuable and we all personally use it on a daily basis in our business and home life. At the click of a button, you can instantly chart your own Xuan Kong flying star chart. Not only that, but with the click of another button you can have a detailed analysis and more importantly, comprehensive and improved instructions on how to cure and enhance, countermeasure or enhance certain parts of the home or office. This is just a small part. There are many layers to this Consultant Feng Shui Software and the most valuable addition to version 3.0 over previous versions in the flying star section is the fact that it has now got eleven new special combinations and formations like pearl string, locked prominent stars, menacing formations, fire burning heaven gate, inverse and hidden siren just to name a few. 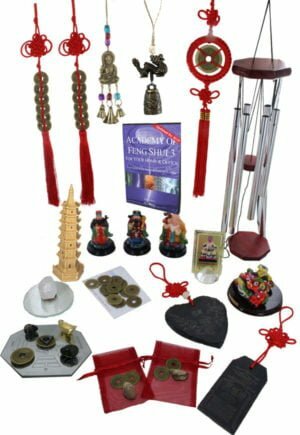 Never before, has such Consultant Feng Shui Software been available to the public; over the last six years we have been put under considerable pressure not to release this Consultant Feng Shui Software by many Feng Shui professionals, as they are concerned that it will take work away from them. The experienced Master or Practitioner will not be concerned as no piece of software will ever replace a Feng Shui Master or Practitioner, although this software will allow you to analyse your own home or office at a fraction of the cost of what a true Feng Shui professional would charge. 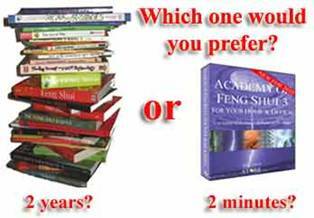 Most books or resources written on Feng Shui and Xuan Kong flying stars is for any time period and many people get confused with which are useable stars in period 8 (year 2004 – 2024). This software is written for the next twenty-year period 8 cycle (2004 – 2024) so it will not cause any confusion and you will instantly know which are the good and bad areas of your home and more crucially, what you can do to reduce their effects and enhance the good areas. This is not just a pretty looking gimmicky piece of software; it is a daily working piece of software that Feng Shui enthusiasts, Practitioners and students can use all over the world on a day to day basis for their Feng Shui consultancy business or daily life. You will not find anything as powerful anywhere in the world. Absolutely none at all! Even if you have 30 years experience you will find this not only provides valuable and little known information but it is also a piece of software that you can use to run a Feng Shui consultancy business personalised with your own company details when you purchase the business version. This software is not just used by the Feng Shui enthusiast; we have hundreds of Feng Shui Masters, Feng Shui teachers, practitioners, architects, interior designers, builders, landscape gardeners, web designers, life coaches, alternative therapists, reiki healers etc… We have supplied this software to hundreds of different types of businesses in every corner of the world; it is a valuable addition to many types of business. 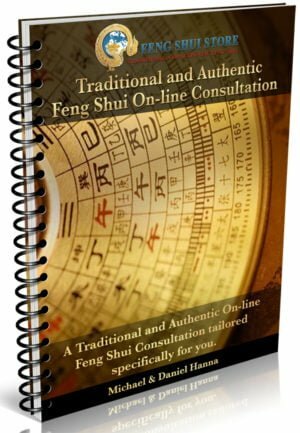 The professional version – for the Feng Shui enthusiast and anybody who wants to do a full and comprehensive Feng Shui audit on their home or business and maybe family, friends and neighbours with no restrictions and the ability to print over 70 pages of personalised reports for, your family, friends and anyone you like on any building in any part of the world. The Master version – this is aimed at the enthusiasts, dedicated students and also teachers who want to do consultations and input their own formula and learning into the software along with many other features if you have been trained in a different school of Feng Shui and you do not want our theory you can enter your own theory and learning in any language you want, making the software actually grow in size. The Business version – The business version is aimed at the Feng Shui professional to the hardened Master or anyone who wants to create professional printed reports with their own company details and logo along with all the features of the above two versions. If you are serious about Feng Shui, you must have this software. The main difference between the three versions, is the Business software version comes with an unlimited client database (Master version you can add 100 clients and pro version is 50) and you are able to add all your company details along with logos etc. we have also added the option to remove our copyright logo in all print outs so the reports will all be completely tailored to your business. Regardless of what version you have, imagine talking to a friend or client and being able to see their Flying star chart, Min Gua, peach blossom or Chinese animal details in seconds. You can do this with the click of a button with all three versions. We have included extensive amounts of advice for cures and enhancers on every aspect of Feng Shui. 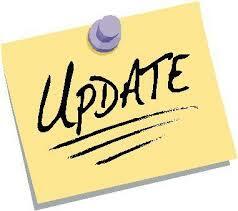 The good news is you can add your own analysis and experiences in the Master and Business versions. If you have devised an alternative way of dealing with a certain combination you can edit the database and save it. Imagine building a database of your own years of experience along with our 53 combined years. If you plan to use the software for your home, your business and your family and friends then I would suggest buying the professional version as this version can calculate as many homes or people as you want and even save full details of up to 50 properties, more than most people would ever need. If however you are a Feng Shui business, Master, Practitioner, teacher consultant, architect, interior designer, builder, landscape gardener, web designer, life coach, alternative therapist, reiki healer, Feng Shui student or anyone who wants to further their knowledge then the business version is what you require. The Business version is probably the best investment you will ever make for anyone who has a Feng Shui business or is a student of Feng Shui. It actually grows in size as you add your own resource database with your own learning and clients. Virtually all the books will tell you that you have a problem with a certain area. For the first time, you will be able to find out what to do to cure or enhance every part of your home or business. Best of all, it contains information on cures and enhancers. You will also be able to instantly identify your areas for wealth (probably more than one wealth area), relationships, career, business, health etc. There are many tightly held secrets revealed in all versions of the software that would normally take you many years of learning, if you were ever privileged enough to receive some of the secret formulas used in this software. Why have we put this software together? We run one of the oldest and most established and extremely successful Feng Shui consultancy business in the world and are constantly booked several months ahead, we also run an International school of Feng Shui and teach other Practitioners from all over the world. Over the years, we have built an enviable client base ranging from Princess’s, Ladies and Lords, Sir’s, Count and Countess’s, Doctors, lawyers, many very famous clients and companies which I know you would have all heard off. We have consulted on Manor houses, Mansions, flats, apartments, studio’s, mobile homes, homes in UK, USA, Canada, Thailand, Ireland, Scotland, Wales, Japan, Australia, Germany, Spain, Belgium, France, Bosnia, China, Hawaii, Sweden, Holland, Greece, Dubai, Switzerland, Austria, Malaysia, blue chip companies employing thousands of staff, small and large restaurants, hospitals, pubs, playschools, jewellers, schools, hairdressers, financial houses, brokers and even a fish & chip shop. You name the type of business we have probably done it. We are also advisors, teachers, mentors and consultants to many Feng Shui Practitioners all over the world. Master Feng Shui Practitioner visit your home. So why did we put this software together? The original version was written by an exceptionally talented person (also one of the nicest people you will ever meet and someone who has become a very good friend of our family) called Justin Byrom BSc of Ocelot Solutions Ltd for Michael to use on a day to day basis for his Feng Shui consultancy and then evolved for his students, so eventually they decided to build a version for the general public and other Feng Shui Practitioners. Not everyone can afford a traditional professional Master Practitioner to visit their home or office, this software is the next best alternative. Justin, Michael, Daniel, Josephine and the International Academy of Feng Shui continue to expand the software. 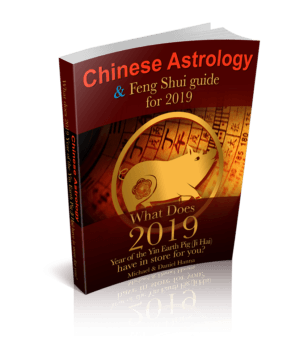 100% accuracy on all calculations, imagine never worrying if you have calculated your flying star chart or Min Gua etc, this software not only offers 100% accuracy it offers practical advice on how to obtain better Feng Shui for your home or office.